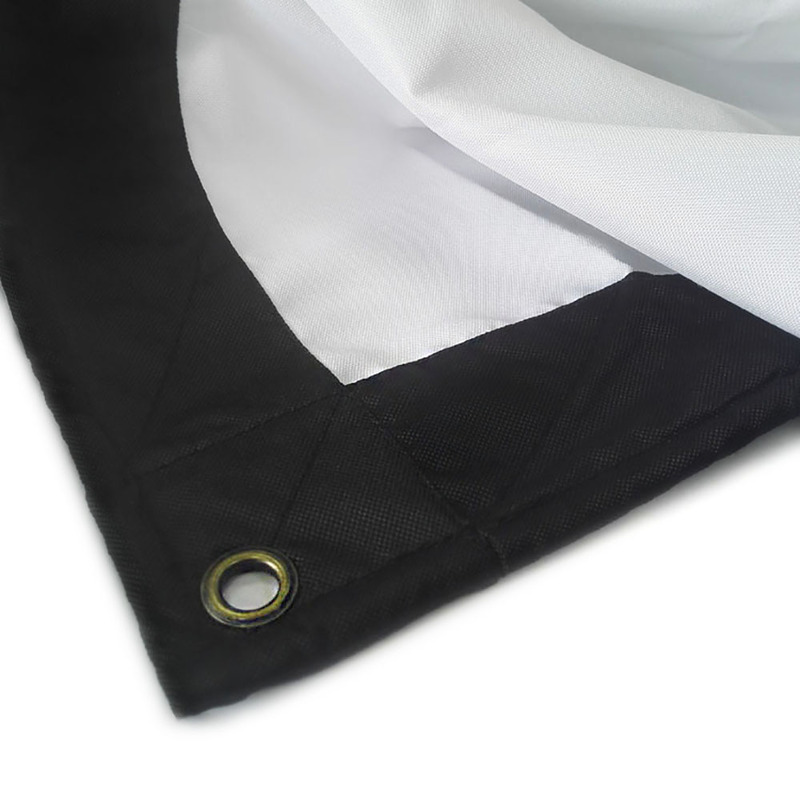 【1.4 Gain】Canvas material with 1.4 gain. The higher gain the better picture quality. 【Portable to carry】 16:9 screen format and diagonal 100'' offers 89-2/5'' x 52'' viewing area, packaged in folded professionally. 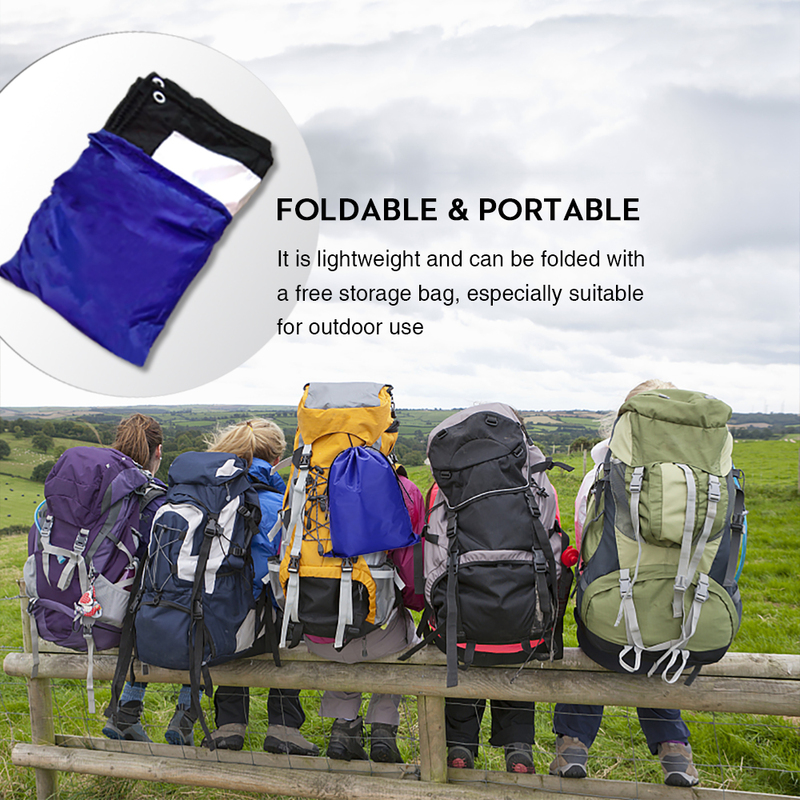 The package size is 11x 10x 2 inch portable for outdoor movie. 【Washable】The screen can be washed. Do not worry about fouling it. 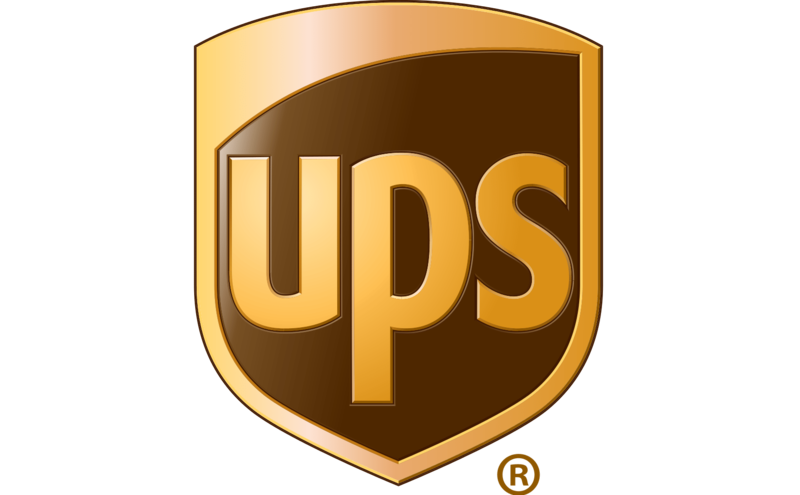 【LIFETIME SERVICE】If any issue, avoid hassle return, replaced directly freely and delivered within 2 days or fully refunded within 30 business days. 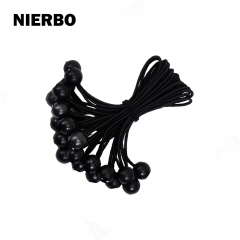 nierbo@nierbo.com thanks! Due to the limited volume of shipping, we will fold it and put it in a bag, thus there are some wrinkles as it shows when you receive it. You can wrap it on a frame tightly for some days, vertical and horizontal must be stretched by force then the wrinkles will be less or hand wash it to make it unfold, you could also use an iron, just pls not too hot. 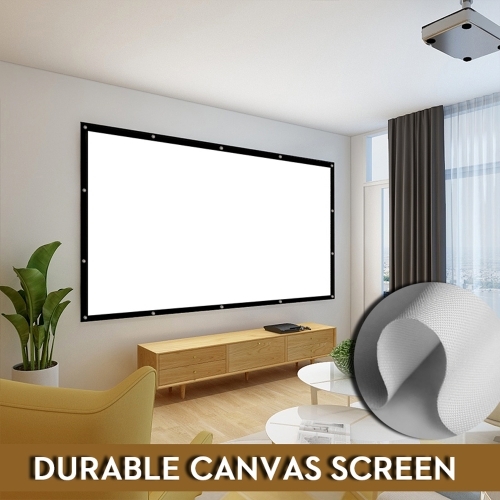 Our canvas screen can use indoor outdoor, folded and portable. 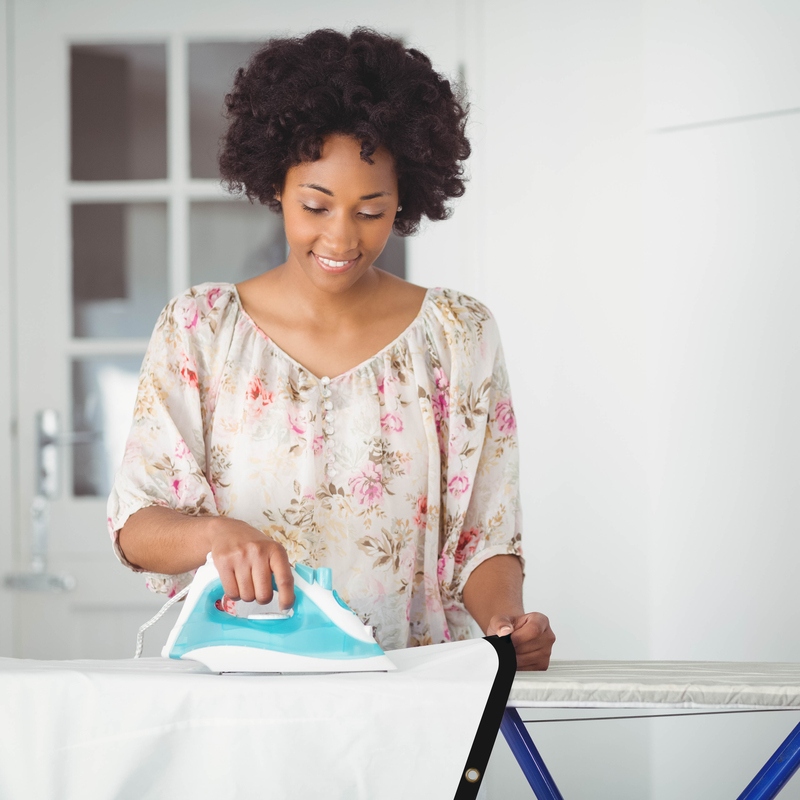 Just like cloth, you can wash it by hand to make it clean. 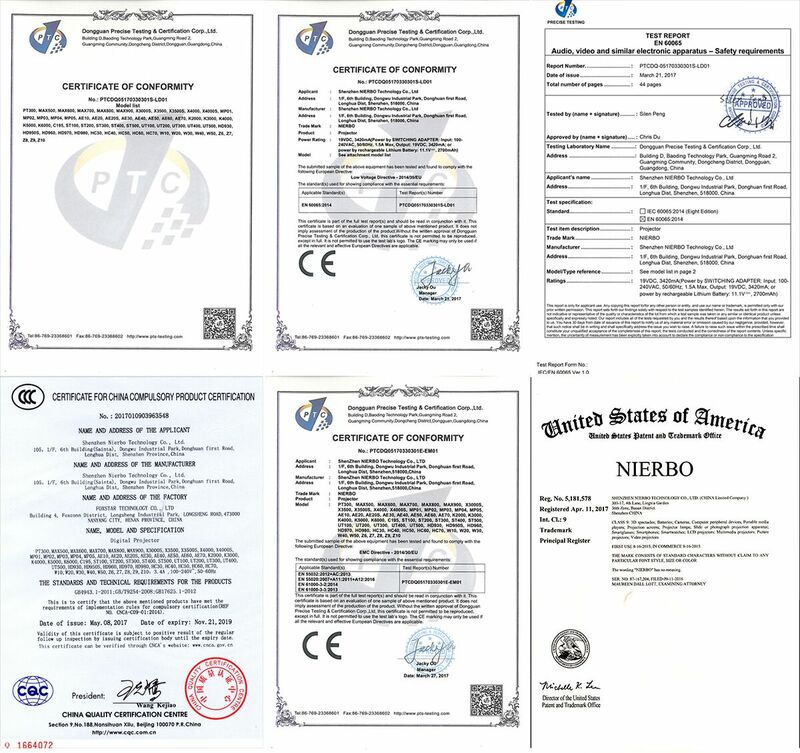 Thick material more than 2 times thicker than other low-quality products to avoid light penetration for a clear image screen. 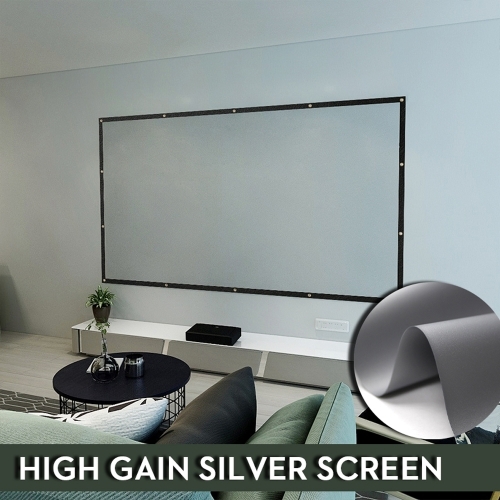 With gain 1.4, offer you good viewing experience,4K HD DIY projector screen for home movie,sport games,photo,music video,business meetings, exhibitions, conventions, presentations, etc. Material 1.4 gain, strong absorbance. 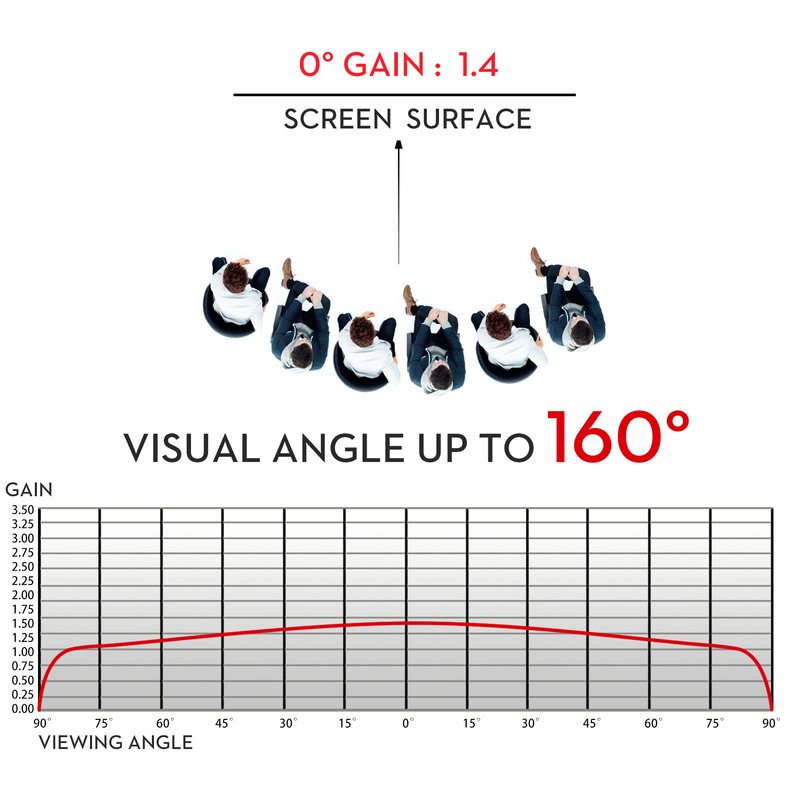 The projection is clearer and brighter than the other ordinary screen. 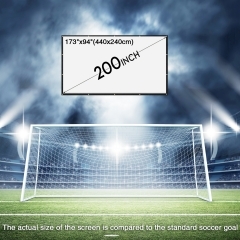 This projector screen has 160° viewing angle. 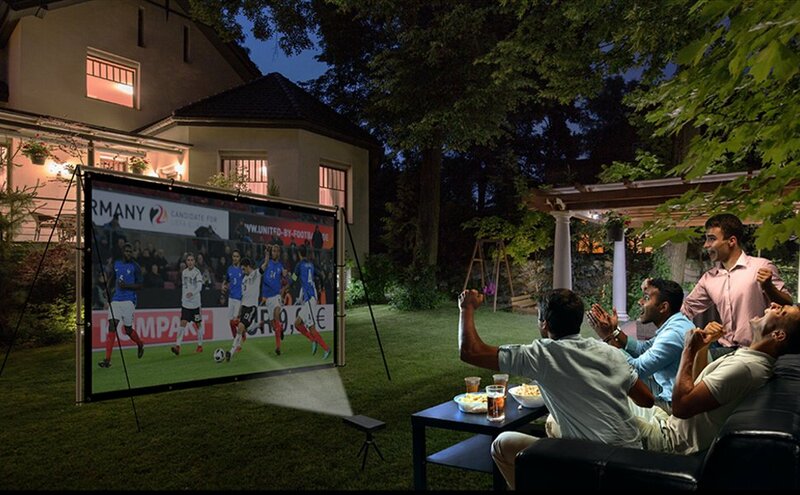 It's with the extremely low reflectivity and high average values of the projection display, which provides you a perfect flicker-free visual enjoyment with optimal crystal clear image and color reproduction. A bag attached: You will get a bag for the screen, keeping it away from the dust and making it durable to use. 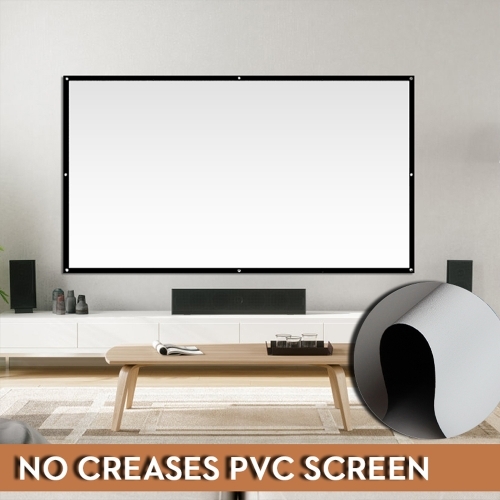 It is an ideal choice for home theater movies, classroom training, conference room presentations, public display, can support front and rear projection. 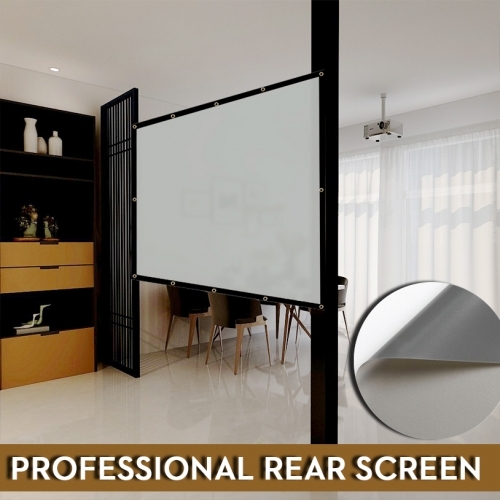 Compare with 10-20USD projector screen this screen has better workmanship and thicker canvas, relatively opaque. 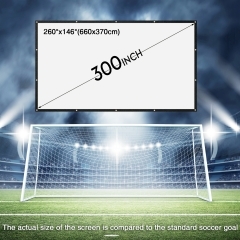 16:9 screen format and diagonal 300'' offers 262-3/5'' x 148-2/5'' viewing area, packaged in folded professionally, package size is 17 x 11 x 7 inch portable for outdoor. 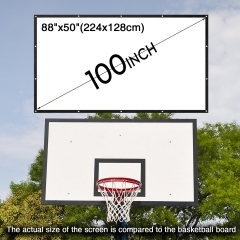 the 200-300 inch are really big, bettter for outdoor use, you can choose the best size for you. 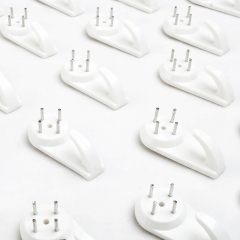 Soft white canvas material with 1.4 gain. 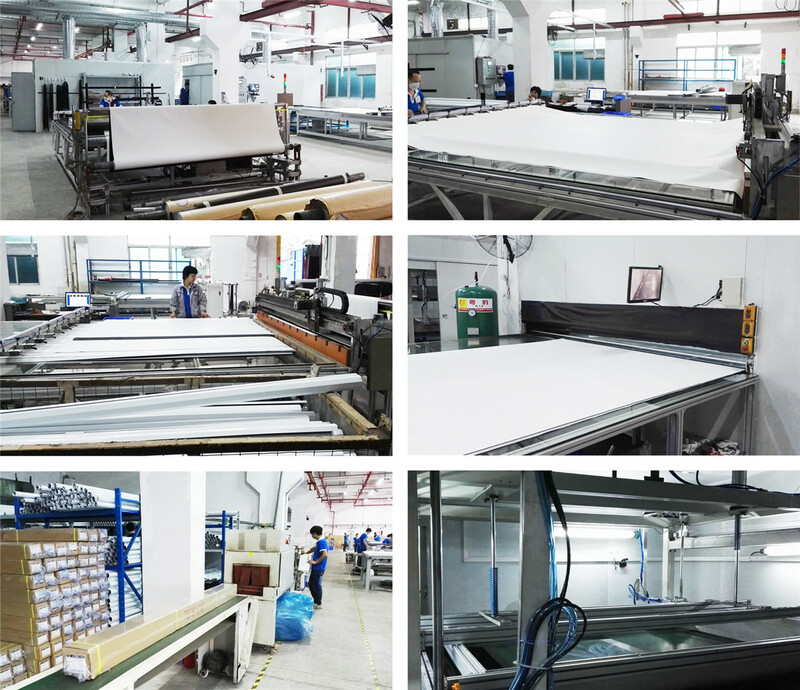 you can wrap it around a frame tightly for some days, vertical and horizontal must be stretched by force then the wrinkles will be less or Hand-washing instead of machine wash the screen. do not use corrosive detergents. 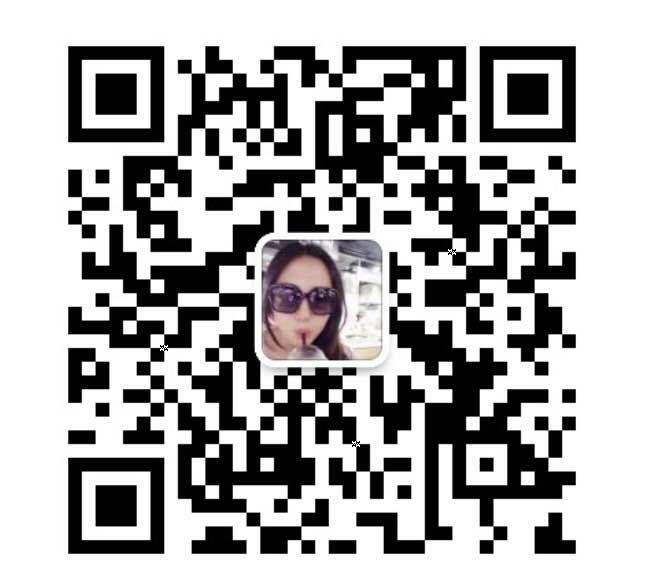 laundry dryer can be used. 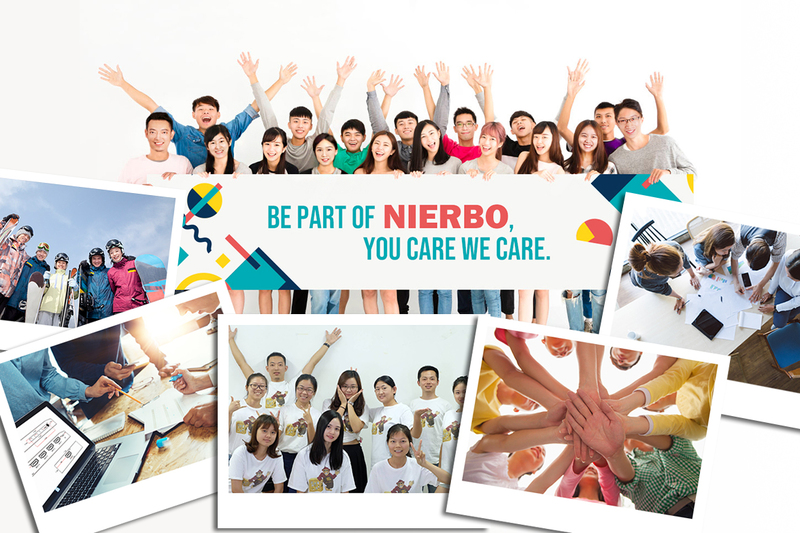 Lifetime warranty and friendly customer service, if any issues pls feel free to contact us:nierbo@nierbo.com.We will provide the whole technical supports and give you the best solution.Thanks!